Today is International Woman’s Day. It’s a day that started way back in the early 1900’s by the Suffragette movement with the intention of encouraging women to campaign for better pay and voting rights but over the years, it’s evolved into something even bigger. International Woman’s Day is celebrated every year on the 8th March and is now a day of inspiring celebrations that females (and some males) join in with around the world. The theme for this year’s International Woman’s Day celebration is #PressforSuccess which is a call to women everywhere to do what they can to progress equality and gender parity. Now, more than ever, there’s a strong call-to-action to press forward and progress gender parity. A strong call to #PressforProgress. A strong call to motivate and unite friends, colleagues and whole communities to think, act and be gender inclusive. Women all over the world have today joined hands to rally against gender inequality and sexual discrimination and campaign for change and the support shown has been tremendous, as ever. 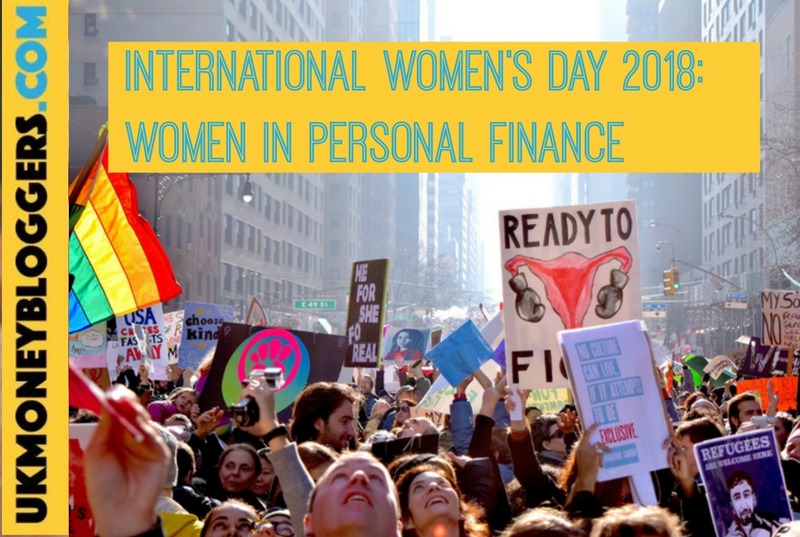 To celebrate the day in our own way, the UK Money Bloggers group have decided to share our thoughts on International Woman’s Day and what it means to us with a roundup of posts centred around women in personal finance. It’s a very diverse group of opinions and there are lots of thought-provoking posts so take some time, read through what we have to say and hopefully, be inspired to do something to #PressforChange today! Thanks, Cody! I really appreciate that.